Card making is a fun way to spend time with your teen and these card making kits for teens have been handpicked to ensure the themes are going to be just as fun. 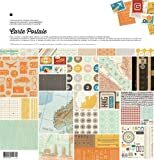 If you know an adult or teenager that loves to make paper crafts, then you may want to consider a card making kit for a gift. Making cards is an affordable craft that can be done with paper. Supplies, tools and materials are easy to find in local craft stores or online, and they are easy to store at home for future use. Making cards is an activity that you can do together with your teenager, or your teen can do with friends. And it is always a good way to give a gift, along with a handmade card to make the gift recipient feel special. Here is a selection of kits that you can feel good about giving when the holidays roll around. These kits are perfect for teens. 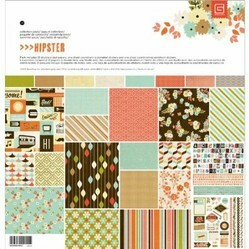 They are stylish and fun and have everything they need to produce cool cards. Each kit has enough materials to create 8 cards and embellishments are included to make each card unique. Their friends will be SO impressed they will want to take up card making too. Whether you are buying this for yourself or as a gift, you should pick this Christmas card kit before Christmas to make sure you have time make the cards. This is a lovely gift for a teen to give them all the supplies that they need to make handmade cards for friends and family. 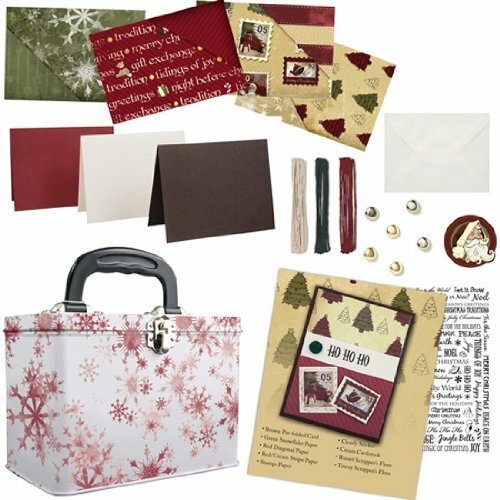 The Christmas card kit can make up to 18 cards for the holiday season in traditional Christmas colors of red, gold, and green. This kit is a great idea to give before Christmas. Everyone can make their own cards and you can make them as plain or as as decorative as possible. Card quality paper--You can use any paper if it is stiff enough to fold and will stand up. Craft stores and art suppliers carry a huge stock. Think of buying different colors. Paper Cutting machine--this saves a lot of time and ensure you get clean straight edges. They aren't terribly expensive. Double sided tape--glues can seep through the paper unless you get a really good one. You can also buy glue dots that are easy to use. Design scissors and paper stamps--these can make fancy edges and cut out shapes to add to your card and are also relatively inexpensive to buy. They do save a lot of time and tears. Embellishments--we all like to add extra touches. You can find bits and pieces around the house, buttons are always useful and you can find so many pretty ones. You can also rescue little trinkets from other cards you have received and keep your eyes open when visiting thrift shops and so on for pieces of ribbon or braid. Use your imagination and be creative in what you use. You can also pick up self-adhesive rhinestones for that extra bit of bling. Learn a few easy crafts like paper folding and making paper flowers--There are some excellent video tutorials on how to make things like paper flowers and paper birds and butterflies that you can add. Quilling is an easy to learn craft and with quilling you can give your card an excellent 3D effect. How to Make a Paper Bird. Here are some great card making ideas to get you started. Flip flops make a fun, tropical design to decorate doors during the summer season. See how to make your own cute door hanger with this tutorial and free printable pattern template. Looking for a free Cupcake Card Template that you can use to make some super cute cupcake greeting cards? Here's a template and a photo tutorial to make your own sweet treat cards. The word decoupage comes from the French verb decouper, meaning to cut. The method involves gluing decorative paper cut-outs onto various objects.